Shonan were one of the 5 teams that ended at 41 points last season, and only avoided relegation playoff on a better goal-difference Iwata. 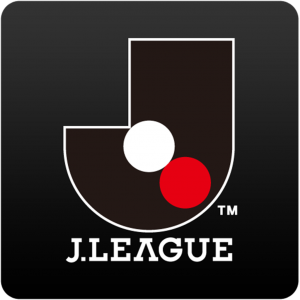 Still, it was an overall pretty good season by them and they will now look to establish themselves in J1. They were relegated both in 2014 and 2017, but got straight back up again the season after. There’s been a major clean-up at their squad ahead of this season, but most of the players that have left were fringe players. MF Ishikawa and AM Takayama are the only 2 players that saw regular playing-time, but they seem to have done well in replacing them. Taketomi is a direct replacement for Takayama, and also somewhat of an upgrade and I expect him to be an important player for them this season. In defence they brought in 2 new Brazilians in Freire and Dumas, and that should strengthen an already decent defensive lineup. They also got a good goalkeeper in Akimoto, and only 7 teams conceded less goals than Shonan last year. I think Shonan are good enough to avoid direct relegation, but they will most likely find themselves on the lower end of the table. They got a good mix of players, and in Taketomi and Umesaki in the 2 attacking midfielder positions they got a lot of creativity going forward too. However, they lack a type of striker that can guarantee 10+ goals a season although the new signings Ibusuki and Nakagawa means they got more options to choose from. 2018: (Predicted: 13th – 17th) 13. 2016: (Predicted: 11th – 14th) 17. 2015: (Predicted: 9th – 13th) 8. 2013: (Predicted: 14th – 16th) 16.